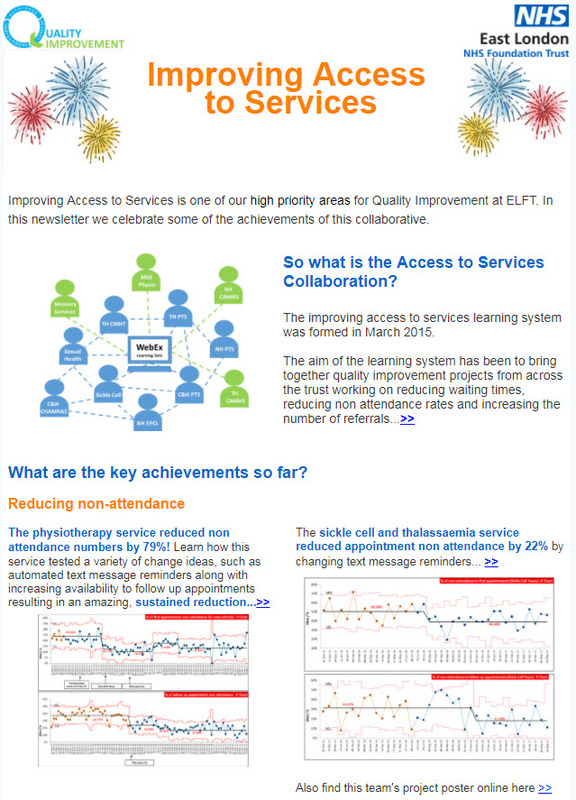 Celebrating 2 years of Improving Access to Services Collaboration! Over two years, the different teams tested out a variety of change ideas which resulted in some fantastic results. 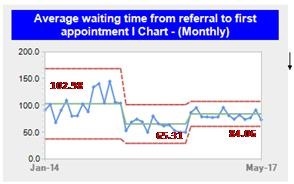 The aggregated teams within the learning system achieved a 23% reduction in average wait times, a 36% reduction in first face to face DNAs (non-attenders) despite there being a 26% increase in the number of new referrals. In 2017, as these teams moved into quality control, the priority work transitioned to focus on Improving Access and Flow across whole service pathways. Currently eight services are working on this, 5 CAMHS (Child & Adult Mental Health Services) services and 3 Psychotherapy Services. 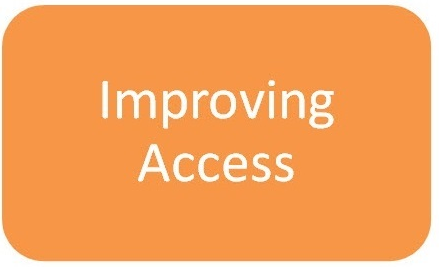 In this collection you will find out more about our previous published work on Improving access to services and resources that provide some guidance on how we can and others have approached this complex area. ​Items in this collection are listed in a chronological order, starting with the most recently published work. While health care systems are making progress toward more value-based, person-centric care practices, the majority of hospitals are experiencing significant operational and financial stress. 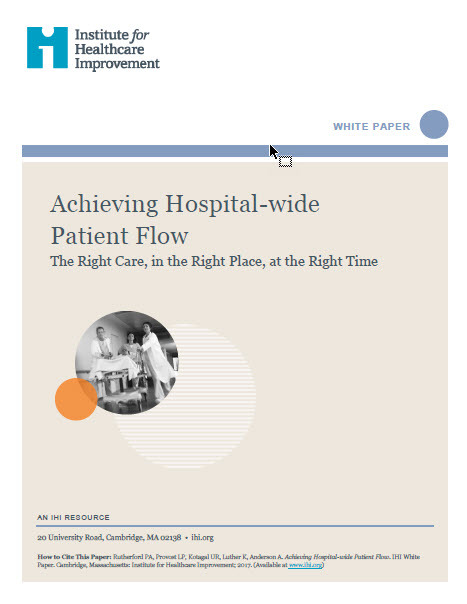 This IHI White Paper shares strategies, promising change ideas, and resources to help leaders and improvement teams take on the challenge of achieving hospital-wide patient flow. Memory Assessment Services in Luton and Bedfordshire have been working hard to reduce time taken to complete neuropsychological assessment. Read more about their journey and achievement below. 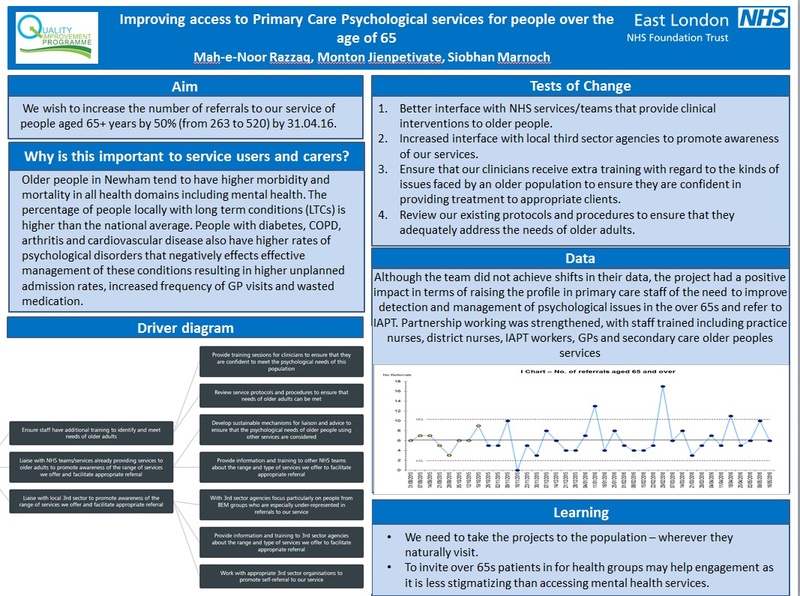 The Psychology members of four multidisciplinary Memory Assessment Service (MAS) Clinics across Luton and Bedfordshire, collaborated on a cross-clinic project to reduce the time taken to complete a neuropsychological assessment to six weeks. 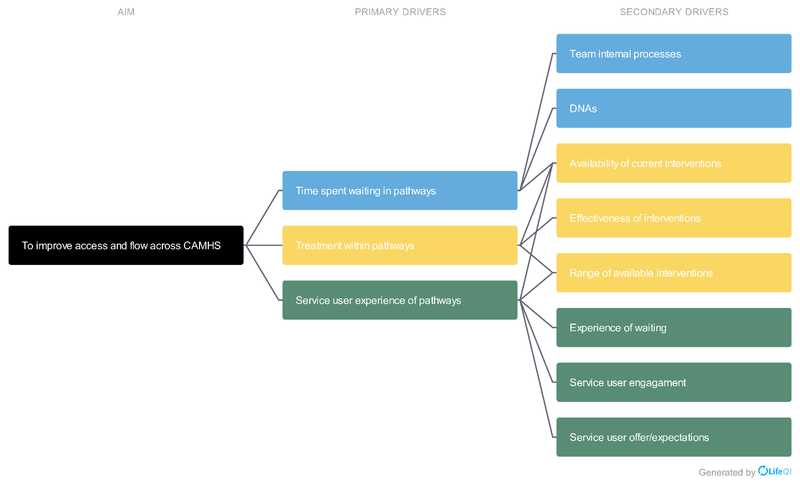 The team, made up of Clinical Psychologists, Trainee Psychologists and Assistant Psychologists used a nominal group technique to build their driver diagram. The team found this method to be inclusive of everyone in the team and an efficient way to decide on the important factors which made up their primary drivers. Since the QI Project spanned over four MAS Clinics, it was vital that operational definitions were clarified so that the data collected were comparable across teams. To do this the team decided to flow chart their assessment process to ensure that all teams were following the same procedures and to clarify when and how data would be collected. Through process mapping it became apparent that each Clinic had difficulties in different parts of the process. Therefore, the teams decided on testing some ideas across all teams, as well as some change ideas which were specific to their Clinic. The teams started with change ideas in areas which they felt they had most control over. For example, they wanted to reduce the delay between the assessment taking place and the draft report being available by allocating specific time for this as close as possible to the assessment appointment. 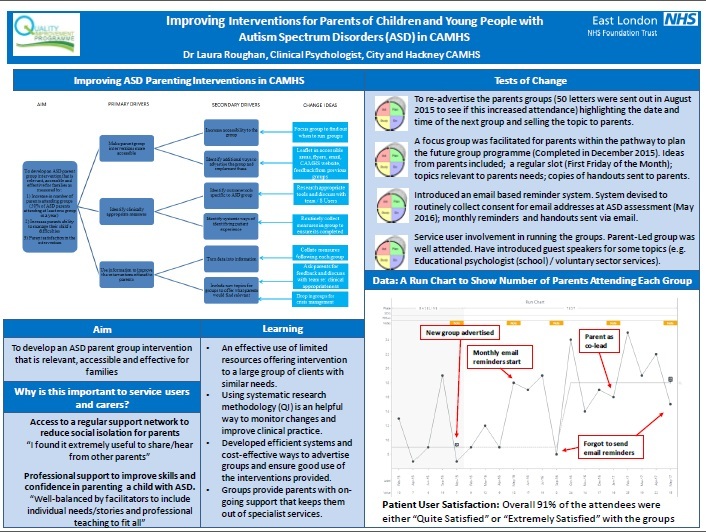 Initially this was trialled with one Assistant Psychologist, using a number of Plan Do Study Act (PDSA) cycles to refine the changes to account for competing priorities, before scaling up to all Assistant Psychologists utilising this method. Implementing this change led to greater efficiency in writing reports, as the information was clearer in mind. Assistant Psychologists report that the new structure helped to manage the workload and clear backlog. Since testing this change, all four MAS clinics have seen reductions in time from assessment to draft report ranging from 52% – 92%. Click on the Image to see the charts in full size. 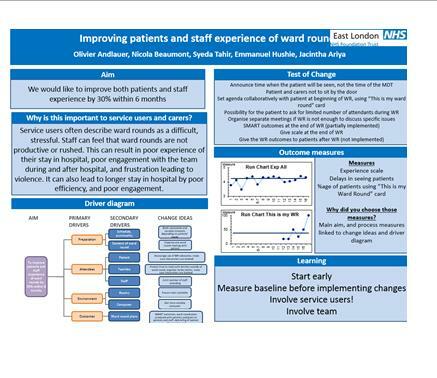 The teams have also been testing team specific change ideas through PDSA cycles and have already seen significant reductions in the time from referral to final report. Mid Bedford are already averaging 38.5 days; Luton at 42 days, Bedford is averaging at 39 days and South Beds is at 44 days. Although the aim was to reach 42 days, teams believe more can be done to reduce this time further and are now looking to gain service user feedback to inform their next change ideas. 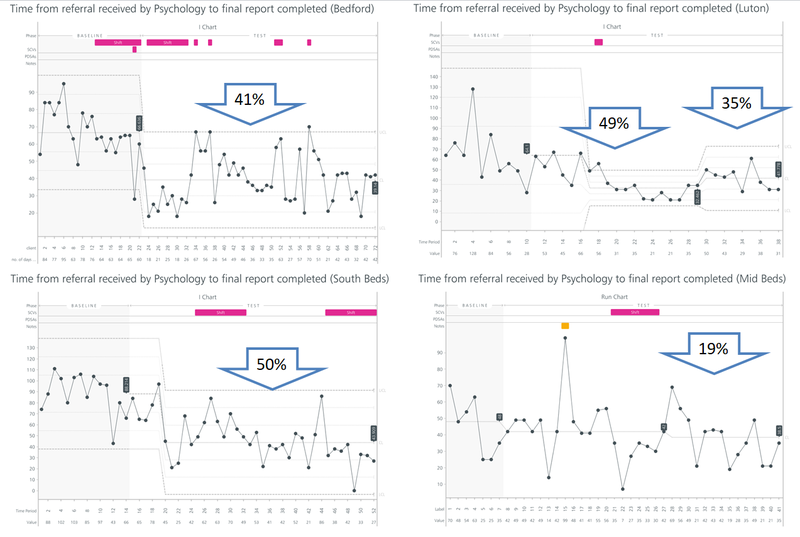 The project team used a force field analysis to reflect on challenges they faced, such as the changeover in Assistant Psychologists. They also identified that working in small teams meant having to take on multiple roles and manage workloads with competing priorities. However, they found the QI meetings to be a useful platform to discuss these difficulties, which helped the team stay focussed and motivated. Initially the team struggled to understand the progress of the project in the context of the wider team. However, having clear operational definitions helped them to develop a consistent data collection plan, which led to having visible data to illustrate how the changes had affected their system. This helped them to celebrate their successes and to consider the bigger picture by taking into account balancing measures to provide more clarity on how the system was performing. The team also shared learning on their experience of running a project across four different Clinics. 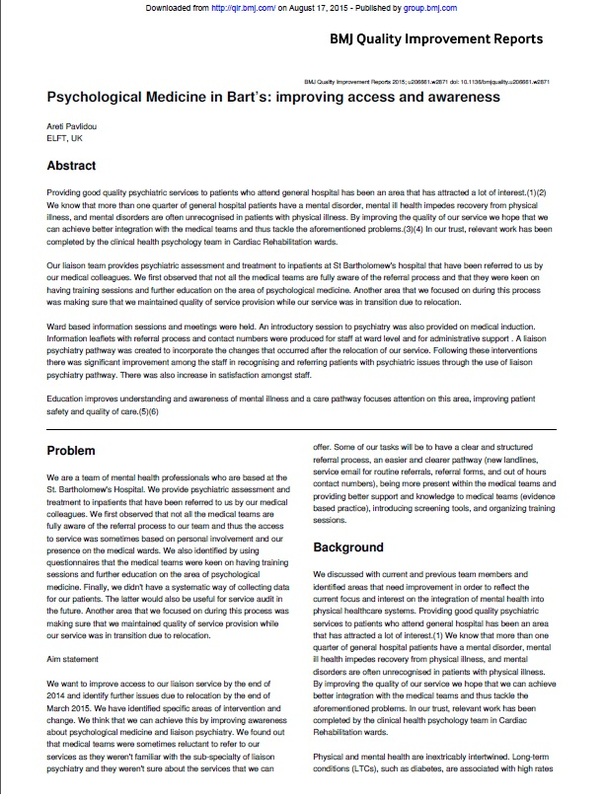 They recognised that each Clinic had differences in their process, which had to be considered when thinking of change ideas and developing a data collection plan. 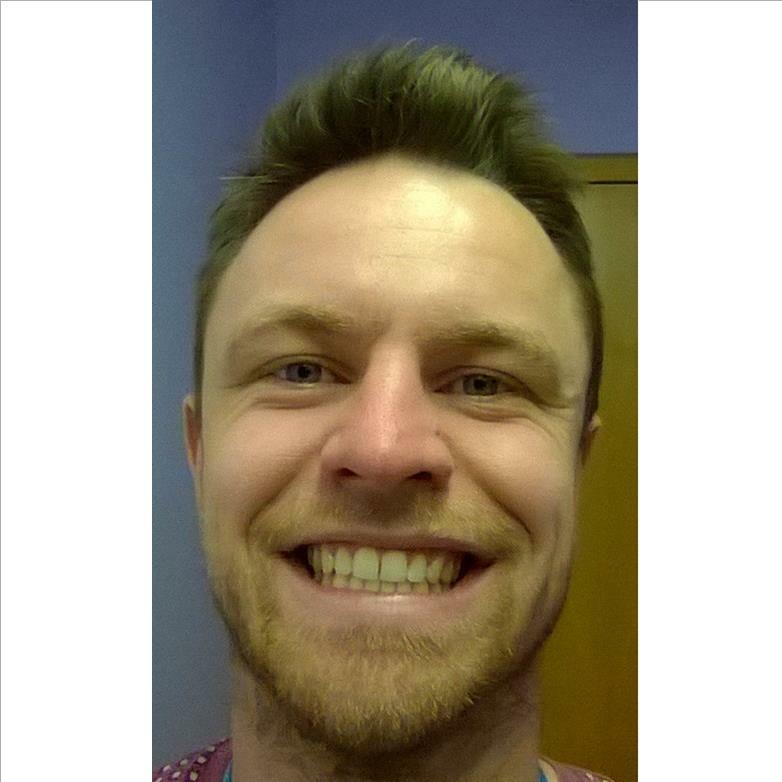 The project team found QI life to be a useful platform, as it could be accessed from anywhere. Together with Skype and disseminating minutes QI project meetings were made more accessible. The team also appreciated the energy and enthusiasm bought to the project meetings by the Assistant and Trainee Clinical Psychologists. Project Lead, Emma Ellis has also bought forward great leadership skills to the team, moving the project forward through setting meetings and keeping on top of the process. We look forward to hearing how the project develops over the next couple of months. The project code is 101269 , please log onto your QI Life account before clicking the image below. 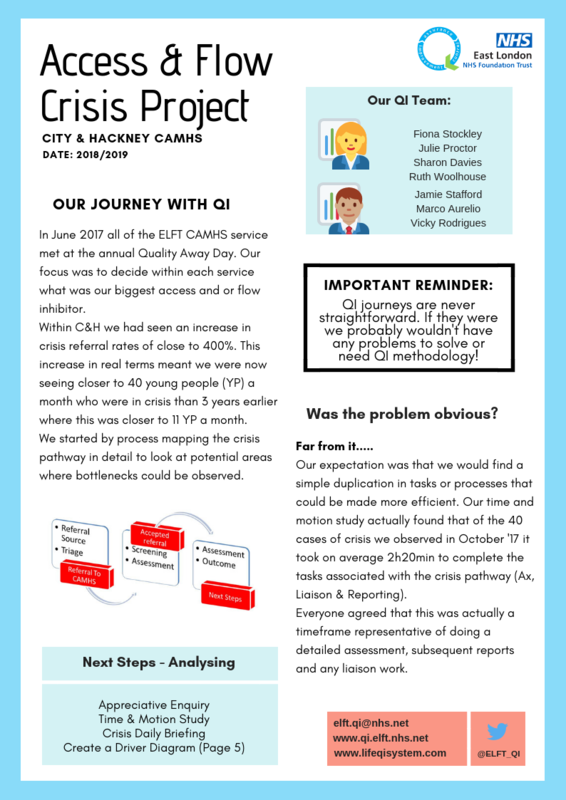 QI Coach Charles Kennedy-Scott was involved in the Improving Access in City and Hackney Adult Mental Health project, which aimed at allowing 95% of patients to be given a face-to-face appointment by April 2017. 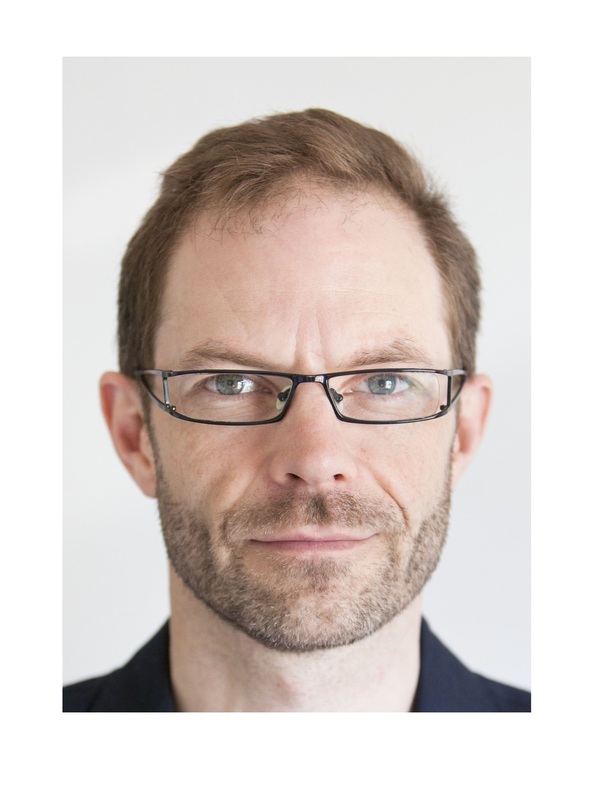 In this blog, Charles reflects on how having a solid QI strategy in place can help teams persevere. 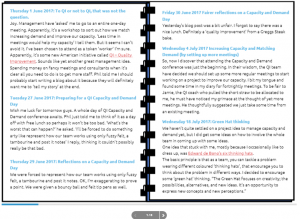 In 2015-2016 the biggest struggle with the QI meeting seemed to be consistency. The attendees varied from week to week and there was no fixed nor rolling agenda, so items discussed and agreed one week were often discussed and agreed (differently) the next week by a different set of attendees. 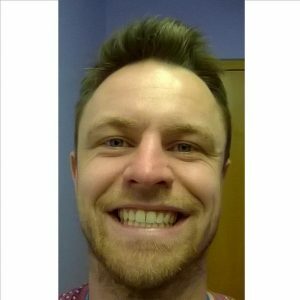 The enthusiasm to keep going seemed to remain though, and this meant that, though slightly haphazardly, progress began to be made. Some of this was due to decisions that were made outside of the QI group. Decisions that had to be made for business reasons, but little by little, progress resulted from ideas put forward by the group. Around this time, more emphasis began being placed on consistent attendees and recording of actions. 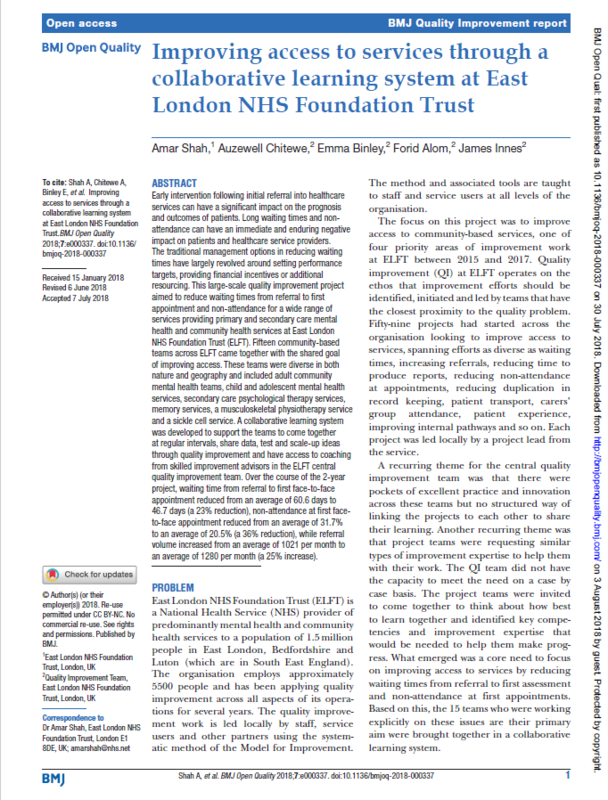 When we had QI coach involvement, the project also progressed forward more strongly than when it was absent. The coach provided a focus for the group and she persuaded the group to think clearly and focus on goals and purpose. Whether the group realised it or not, the introduction of measures and tests began to have a positive effect. The project continued. It was one that had to succeed as it was trying to achieve a strict target set on the Trust. 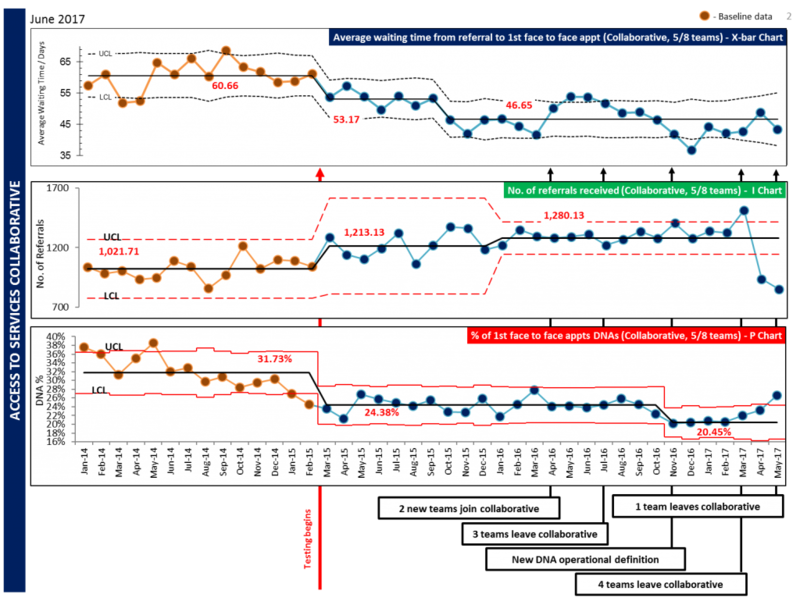 Interestingly, without QI I think it is unlikely that the group would have continued to meet every two weeks over such a long period. 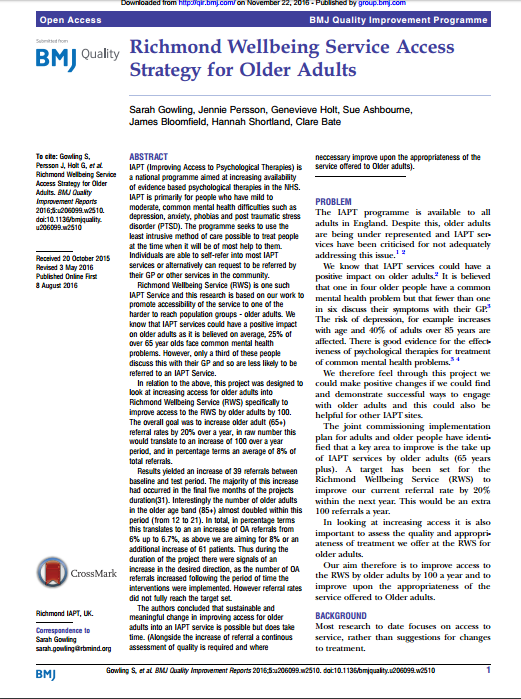 But the QI backbone provided structure and almost ‘enforced’ a reason to continue meeting. This was positive. The persistence paid off, and by now good results were being achieved. But not only this, they were being understood better than had they been imposed or simply implemented, as would be usual in an absence of a quality improvement methodology. At the beginning, with the group and project somewhat in disarray, success seemed far off and unlikely. But the group had to learn and did learn. Not giving up, continuing to meet, brought real and sustained success. 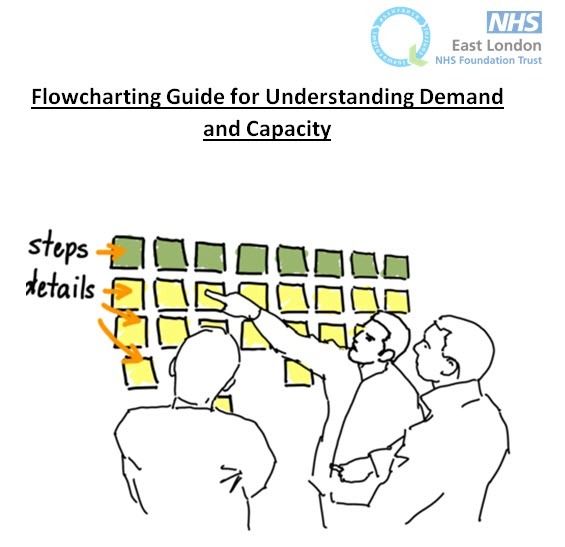 This guide has been created for Improvement Advisors, QI Coaches and/or Project Teams to act as support/guidance when facilitating flowcharting exercises with the aim to develop a deeper understanding of demand and capacity through a service/pathway. Over the past two years, the teams have tested out a variety of different change ideas with the aim to develop a change bundle that can be shared across the wider trust. 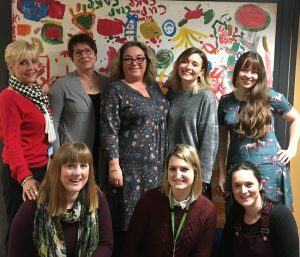 The learning system has incorporated teams from two different Child & Adolescent Mental Health Services (CAMHS), Adult Community Mental Health Teams, services from Community Health Newham, Memory services and services from Children’s Community Health. 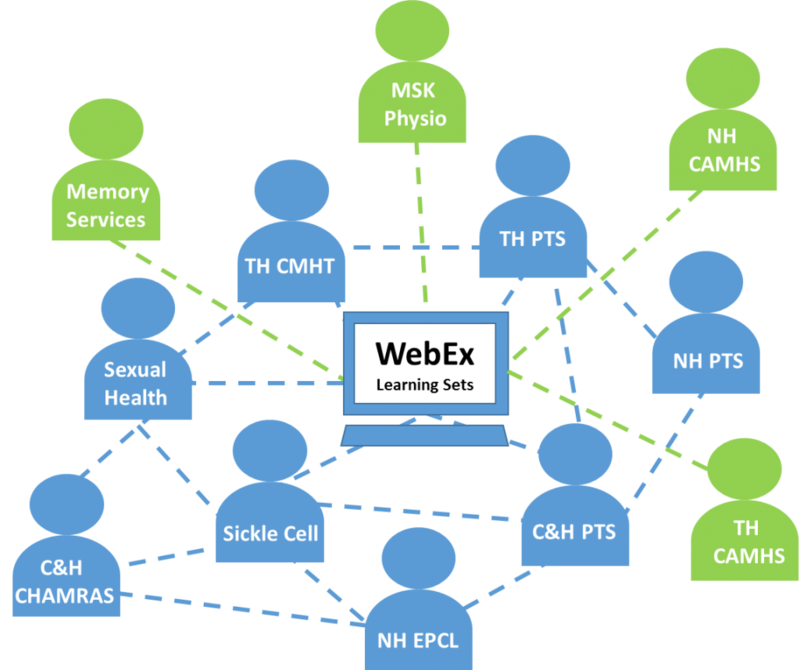 Initially these teams came together to meet every six weeks for a learning set, which later transitioned to a six weekly WebEx (web conference), both joined by the learning system’s executive sponsor. All teams would be represented on the WebEx and a couple of projects were asked to present their learning during the calls. The learning sets often focused on specific topics for example; process mapping, text message reminders and implementation. The primary focus was to provide opportunities for teams to connect, share ideas and support each other with overcoming challenges and potential barriers. Outside of these six weekly learning sets the teams committed to meeting regularly as a project team to focus on their project with support from the QI Lead and tested a variety of change ideas. 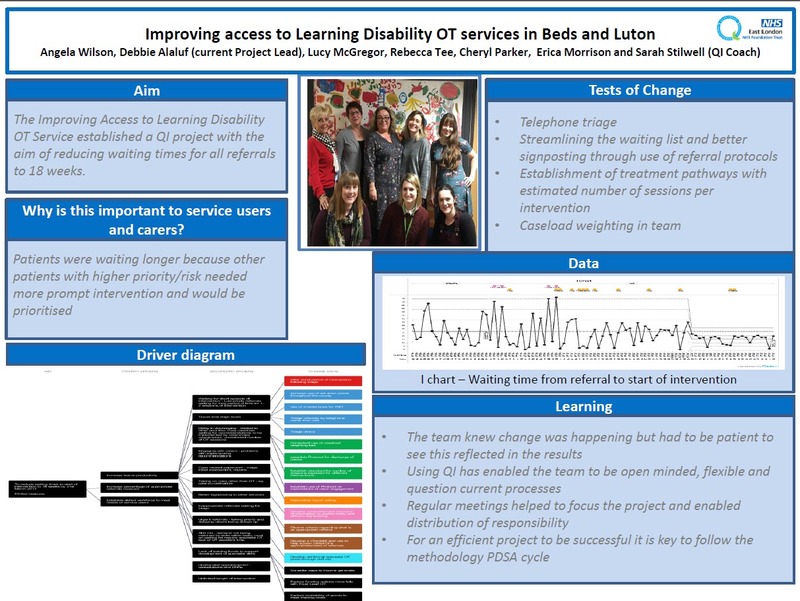 In addition the learning system developed a bundle of measures and developed an ‘access to services’ dashboard. 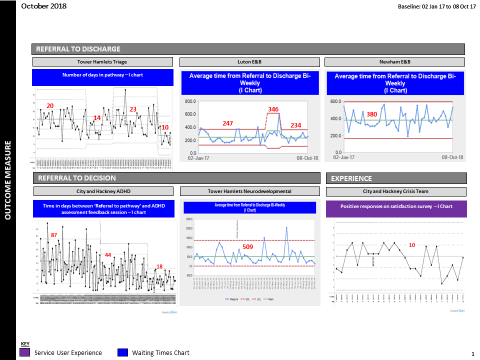 This dashboard is shared with the services and project teams on a monthly basis and included control charts on the three measures listed above. 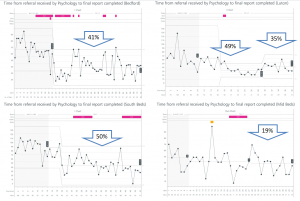 This provided the teams with an easy way to observe and understand variation in their system and see whether the changes resulted in improvements. 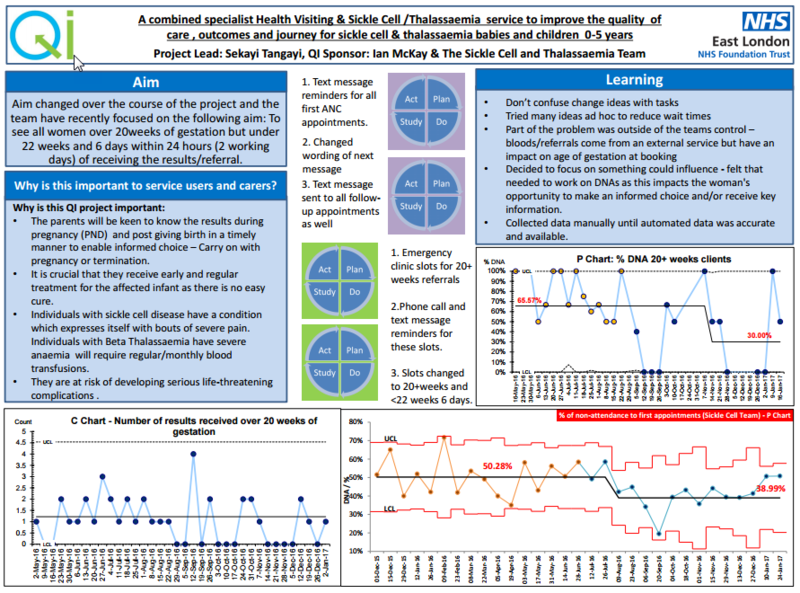 The Sickle Cell and Thalassaemia Service started their QI project in December 2015. The service dedicates time every Friday afternoon to focus on quality improvement and this time has involved teaching sessions on the methodology, presentations and project team meetings. All members of the service are part of the QI project team and this includes, nursing staff, administrative staff, student nurses and service users. 90% of 0-5 years children have been referred to the service and seen within the 10 working days. 89% of children 0-5 have received combined health visiting and nursing assessment and care plan by March 2016. 99% of the children 0-5 would have commenced treatment and treatment adherence monitoring 4-6 weeks to 5 years by March 2016. They developed detailed process maps for each of the pathways involved and manually collected extensive data. During one of their QI project team meetings they spent time reviewing the different process maps and identifying areas of particular concern. The team expressed that many of the delays in their processes were dependent on external services for example receiving blood results. 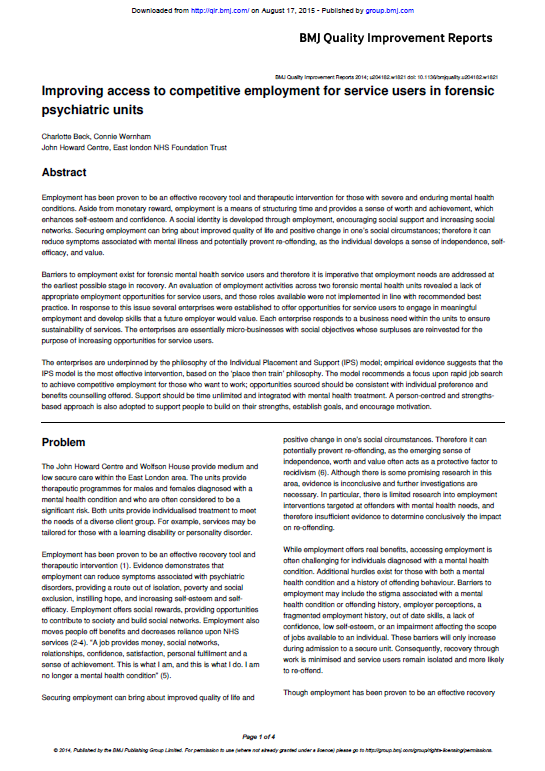 Through the use Nominal Group Technique and Affinity Diagram the team highlighted that they were most concerned about referrals that they receive for service users who are over twenty weeks of gestation due to the limited amount of time available to ensure all tests are complete, results received and the service user is able to make an informed decision. The team reviewed their aim and decided to focus on seeing all women over 20 weeks of gestation but under 22 weeks and 6 days within 48 hours (2 working days) of receiving the results/referral. The team decided to test an emergency clinic and they predicted that this would enable them to be able to offer appointments to any referrals received over 20 weeks of gestation but under 22 weeks and 6 days. The emergency clinic slot took place twice a day, morning and afternoon on Tuesday, Wednesday and Thursdays. They tested this for one week and then decided to send a text message reminder. The team tested different ways to word the text message reminders and finally decided to send text messages that emphasised the importance and urgency of the appointment. Through multiple PDSA cycles the team also developed a plan for those who DNA and were able to identify those who the clinic would not be suitable for. The team went on to change the wording of the text message reminders sent to all ANC (Ante Natal Clinic) first appointments to be similar to the texts sent for the emergency clinic appointments. 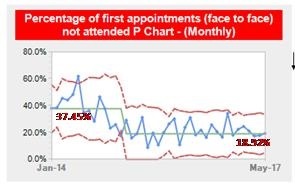 Following the change in text message reminders and the introduction of emergency clinics the team achieved a fantastic 22% reduction in first appointment non-attendance. This improvement in DNAs has been sustained for since August 2016. The team went on to test the same text message wording with all follow up appointments and this resulted in a remarkable 43% reduction in DNAS. The team are now collecting qualitative feedback on services user’s thoughts regarding the text message wording and are in the process of writing up their project for publication. 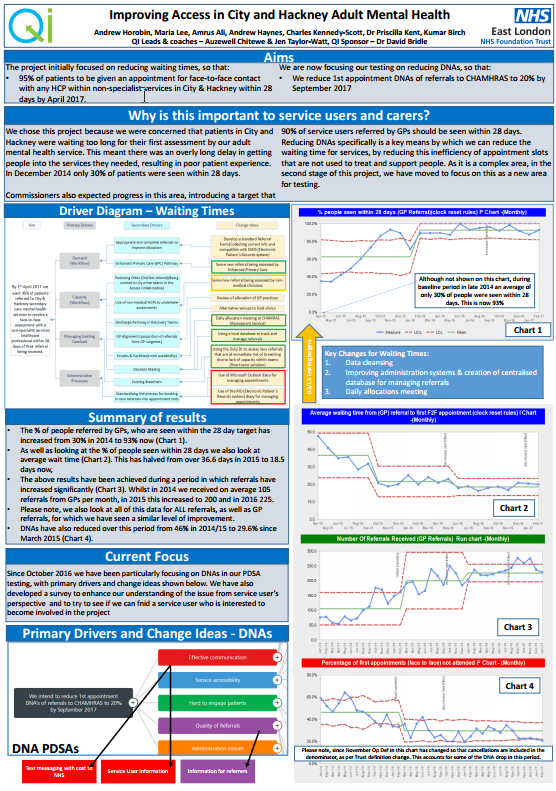 In addition to the Sickle Cell and Thalassaemia Service another Children’s service has been working on reducing DNAs as part of the Improving Access to Services Learning system. 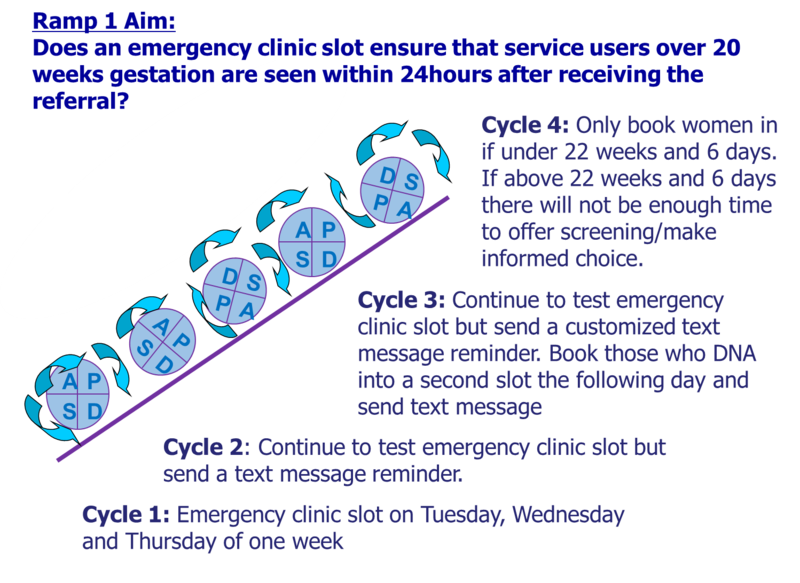 The Sexual Health Team has also tested text message reminders and has achieved a 21% reduction in non-attendance for their specialist clinics. 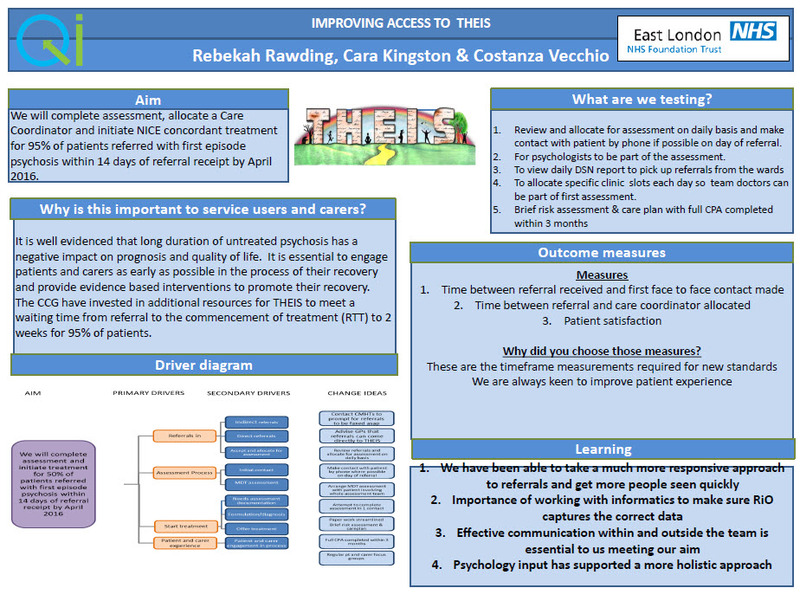 All three of the Trust’s Psychotherapy Services have been part of the Improving Access to Services Learning System. They have all been primarily working on improving the wait times and/or non-attendance rates for assessments/first face to face contacts. More recently the services have moved to focus on improving the wait to treatment. 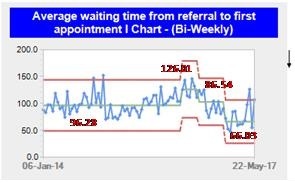 Reduce the wait time from referral to assessment by 25% in 6 months. The team’s theory was that the current DNA (Did Not Attend) rates may be related to the long wait for assessments. 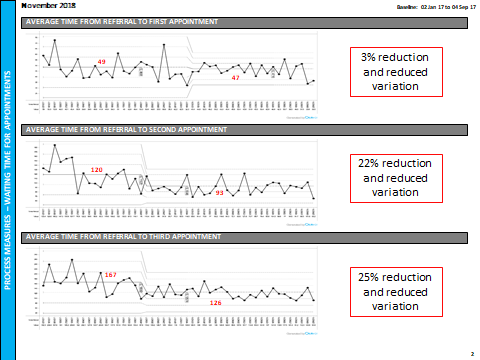 Therefore the team have been working hard to develop a new intervention that they predict will help reduce the wait time to assessment but also reduce the non-attendance rates. They have introduced and tested information and enrollment sessions. These sessions take place after a referral has been screened but before a formal assessment session. The purpose of the information and enrollment session is to provide service users with information about the service they have been referred into and the type of therapy they offer, they also provide information about crisis and manage expectations around the current wait times. Ten service users are invited to attend a session and at the end of the session service users are booked into available assessment slots. At the end of the information and enrollment session service users are asked to complete a service user feedback form which asks whether they feel the session was useful and whether they are more likely to attend the next appointment. Since they started testing this change idea over 200 service users have attended the information and enrollment sessions and have then been offered an appointment. 90% of service users have fed back that they found the session useful, they appreciate the information and that it had helped them to understand the waits for assessments. Furthermore, of the first 60 service users to have experienced this new pathway, non-attendance has reduced to less than 15%, which is fantastic! The team are now working on reducing the wait time for treatment. They are currently redesigning the treatment pathways and planning to introduce psycho-education groups. 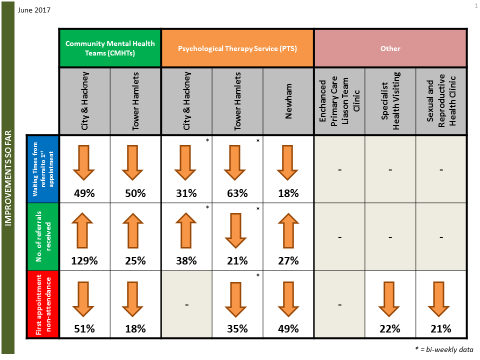 Newham’s Psychotherapy service has been working on improving their wait times and non-attendance rates for assessments for the past two years. 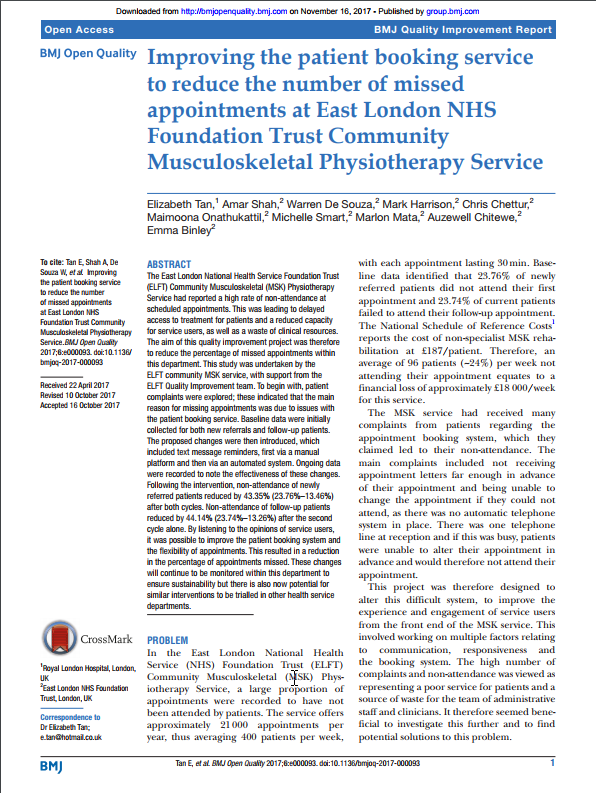 Alongside MSK Physio they were one of the first teams within the learning system to test text message reminders and ran small scale PDSA (Plan Do Study Act) cycles using a manual mobile phone. The introduction of text message reminders resulted in an incredible 49% reduction in first appointment DNAs. 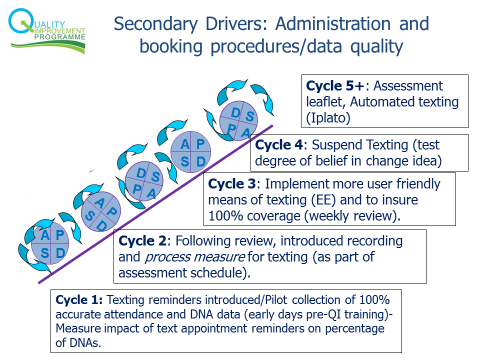 The teams fantastic results created the evidence base for text message reminders reducing DNAs, which assisted in ensuring that the automated text message system became available to other services. Reducing the number of queues into the service by reducing the number of specialist assessments. 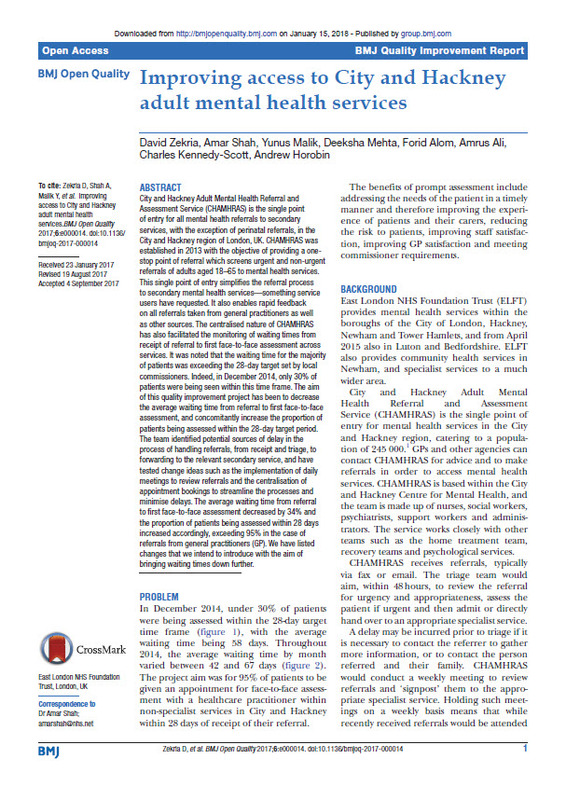 Where possible the team would conduct generic rather than specialty specific assessments as this enabled them to be more flexible with capacity. The Referrals Coordinator was able to screen referrals to ensure there was adequate information prior to the referrals meeting. This would enable the referrals coordinator to contact the referrer and gather any further information rather than waiting to do this after the referrals meeting. This allowed the team to make an informed decision about a referral. Tested a new referral form which helped reduce the amount of inappropriate referrals and be more objective about the screening process. In addition to the excellent results that the team has seen, this project is a great example of service user and carer involvement. Thana, an Expert by Experience has been working with the team for a number of months as a key member of the project team. He has been assisting the team in thinking about ways in which they can improve their waiting times but also ensure that the service provides a holistic approach to care. 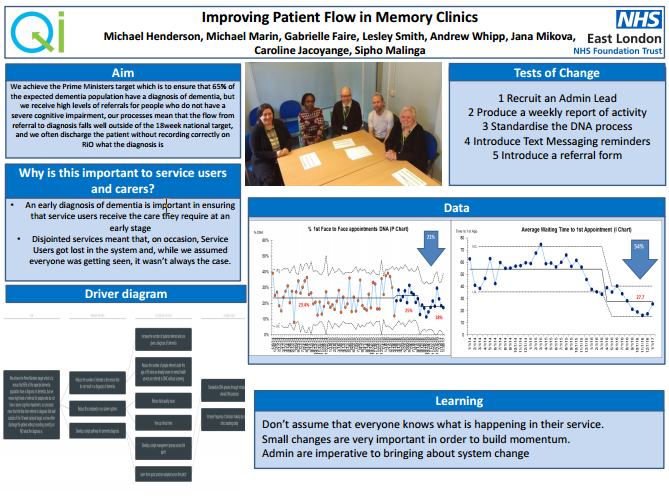 The team developed a leaflet which they believed would help reduce DNAs by reducing inappropriate referrals and improving engagement by providing service users with information about the service that they have been referred into. Thana, alongside the Service User and Carer Steering Group reviewed the leaflet and provided feedback to the project team. 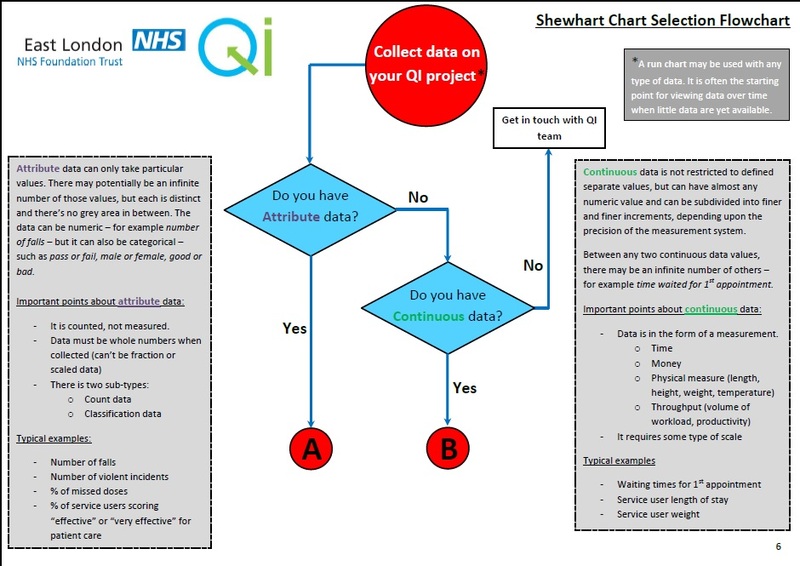 Thana was also involved in a session where the team brainstormed a potential new pathway design and he describes this in his blog (https://qi.elft.nhs.uk/quality-improvement-qi-what-drives-this/). The call and book change idea was focused on providing service users with the choice of appointments. Previously when the service received a referral the service user would be sent a letter requesting that they get in contact with the service within two weeks. However with the call and book change idea the administrative staff contacted the service user straight away to book them into an assessment appointment. 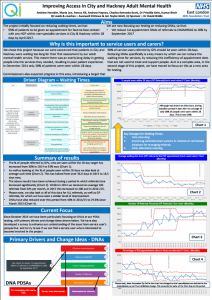 The change ideas tested by the team resulted in an incredible 63% reduction in wait times for assessments. Following the initial testing of the call and book PDSA the team agreed for administrative staff to call the service user a second time if they did not answer the first call. 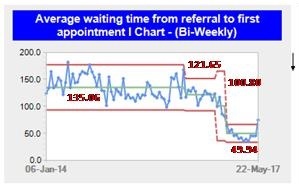 The team noticed that as the wait time for assessment decreased the number of people on the wait list for treatment increased. 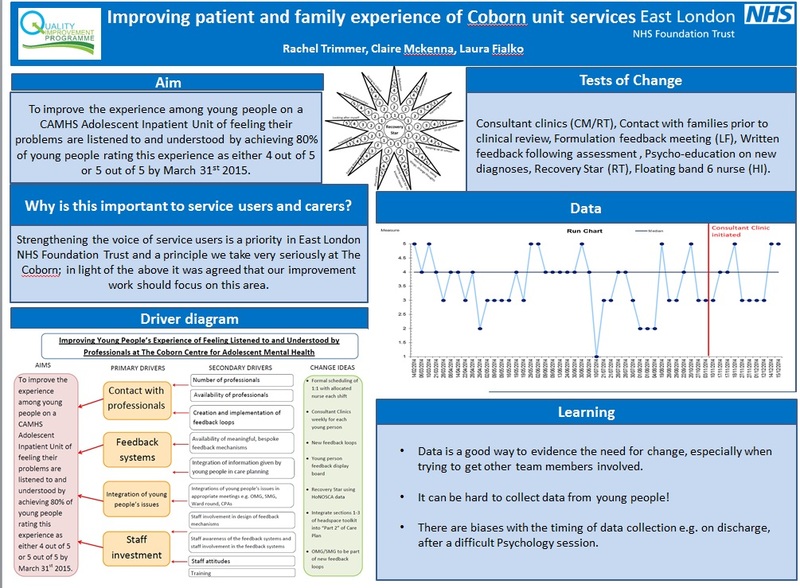 Therefore the team started a second QI project focusing on reducing the wait time for treatment with the aim for 95% of service users to be seen within 18 weeks of referral. The team are currently focusing on checking in with service users to see if they are still interested in being on the wait list for treatment. The project code is 101119 , please log onto your QI Life account before clicking the logo below. The project code is 100936, please log onto your QI Life account before clicking the logo below. The project code is 101032 , please log onto your QI Life account before clicking the logo below. The project code is 100982 , please log onto your QI Life account before clicking the logo below. 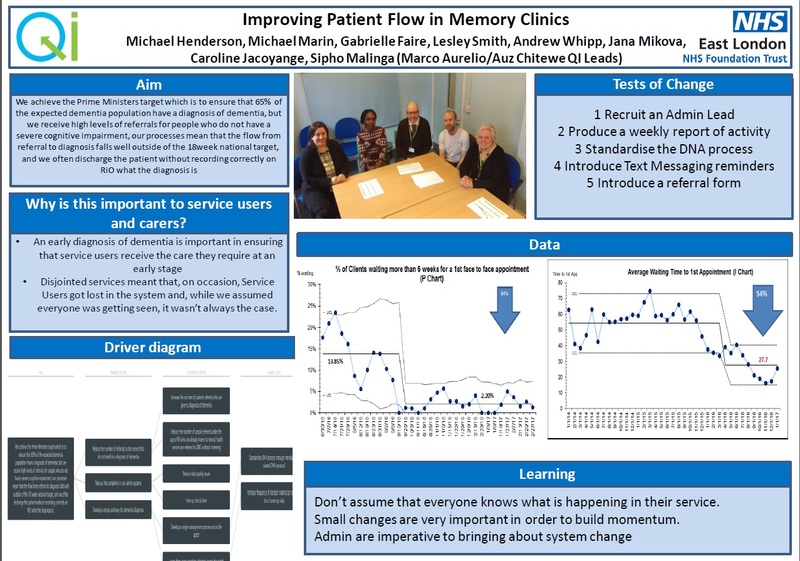 This projected presented at the 2017 Annual QI Conference is aiming to achieve the Prime Minister’s target which is to ensure that 65% of the expected dementia population have a diagnosis of dementia, but we receive high levels of referrals for people who do not have a severe cognitive impairment, our processes mean that the flow from referral to diagnosis falls well outside of the 18week national target, and we often discharge the patient without recording correctly on RiO what the diagnosis is. This projected was presented at the 2017 Annual QI Conference during the world cafe session. The project code is 101090, please log onto your QI Life account before clicking the logo below. Creating Flow Diagrams and Process Mapping is used to develop a ‘map’ of a process within a system. It will help you to map the whole patient journey or diagnostic pathway with a range of people who represent the different roles involved. Process mapping can be used to help a team understand where the problems are and identify areas for improvement. The aim of process mapping is to make things clear and to provide insight. The best map is often the simplest map. Start with a high level process map of say 5 to 10 steps which you set a time limit to achieve e.g. 20 minutes. This helps to establish the scope of the process and identify significant issues. 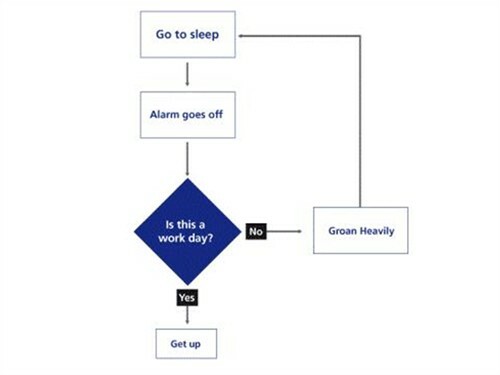 Here is a simple example of a high level process map. Box Shows the activities of the process. Diamond Represents the stage in the process where a question is asked or a decision is required. Oval Shows the start of a process and the inputs required. Also used to mark the end of the process with the results or outputs. The symbol is the same for the start and end of a process to emphasis interdependency. Arrows Show the direction or flow of the process. There is software that can help you to develop process maps but in a group setting you can use rolls of paper (lining paper from a DIY store); marker pens, post-it notes in different colours to represent the four different symbols, flip chart to ‘park’ issues and display ground rules for your session. 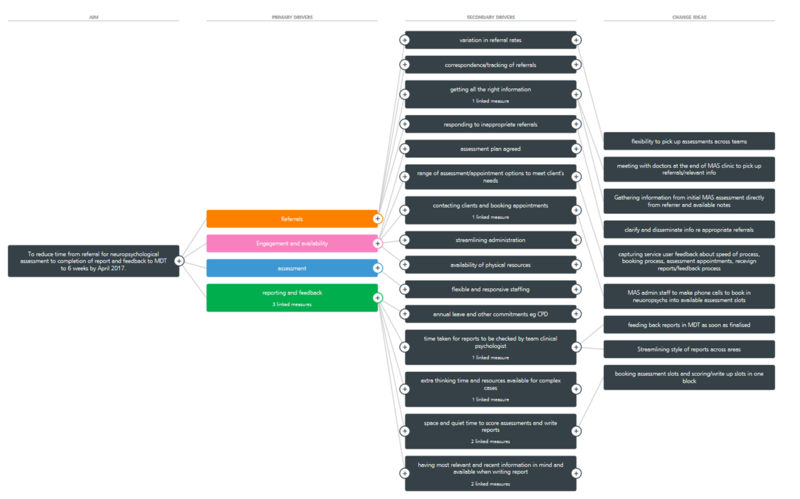 Once you have your high level process map you will start to be able to understand how the process works and where there are problems, drilling down into these with more detailed process maps. Further work maybe required to analyse the problem areas identified e.g. seek stakeholder feedback or further data collection. The information and level of detail required will depend on the scope of your project. 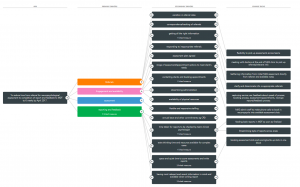 The Aims Tool and the Driver Diagram may be useful tools to help you clarify this. Ideally you will know what your problem areas such as the point in your process where a constraint causes flow to be slowed. This may already have been identified right at the start of the improvement journey when developing your project charter.